Loved the view from the balcony! Awesome welcome package on arrival as well. absolutely loved this resort. the room was spacious, very clean and had incredible views. the pool area and gym were fantastic. staff were similarly friendly and helpful. 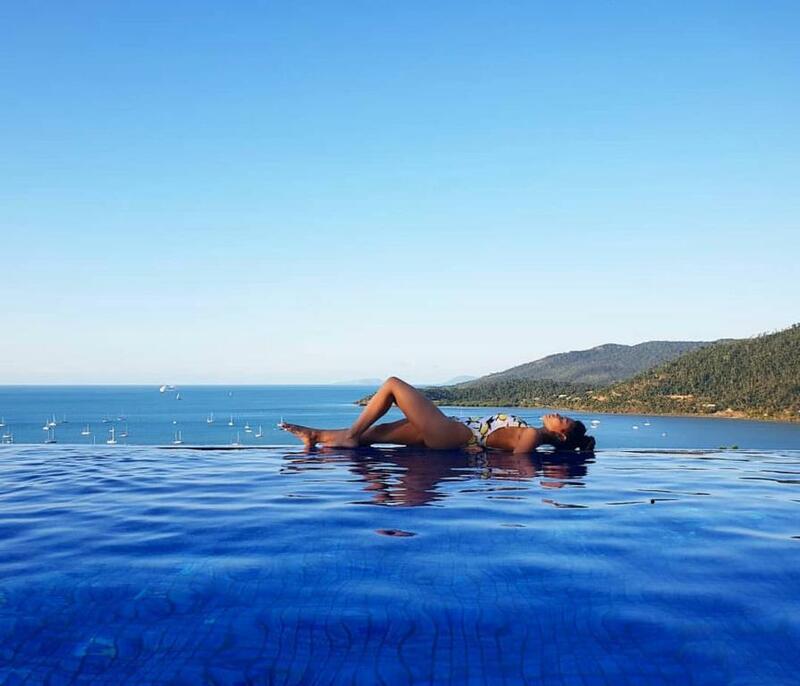 The view, the pool, shower, rooms, everything was great and we couldn't have enjoyed ourselves more! The room was amazing. Spa was awesome. Bed was comfortable. Amazing location and view. The apartment was very spacious and had all the required amenities. Staff were very helpful and friendly. Would definitely recommend. I recently got engaged at pinnacles! The staff helped with the entire preparation in setting up the room for the big night and made sure our stay was flawless. Couldn’t recommend them more highly! Lock in a great price for Pinnacles Resort - rated 9.3 by recent guests. 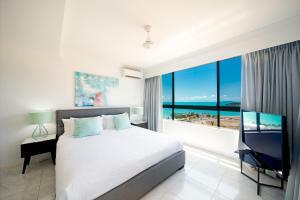 Pinnacles Resort offers luxury apartments with Coral Sea views, just 350 yards from Airlie Beach town centre. The Port of Airlie is just 1,000 yards away. All apartments at Pinnacles Resort Whitsundays include an internal spa bath or hot tub, a balcony and stunning views of the Coral Sea. The 1-bedroom apartments have a kitchenette whilst the 2 and 3-bedroom apartments have a fully equipped kitchen. Guests can relax in the 20 yards infinity pool or in infrared sauna, and can work out at the fully equipped fitness centre. Pinnacles Resort is located in the heart of Airlie Beach, the gateway to the Whitsunday Islands. 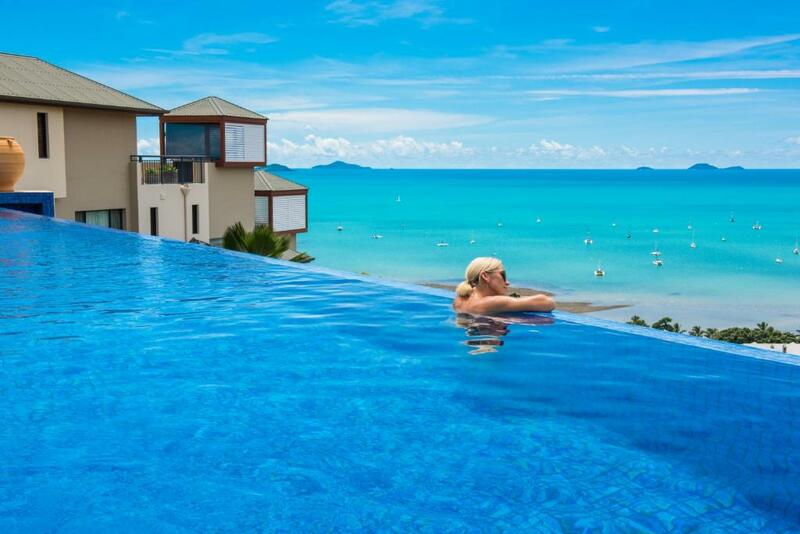 Whitsunday Coast Airport or Proserpine Airport is a 45-minute drive from the resort. Pinnacles Resort has been welcoming Booking.com guests since 21 Mar 2011. When would you like to stay at Pinnacles Resort? Features sea views and an en suite bathroom with large spa bath. Located on lower levels. 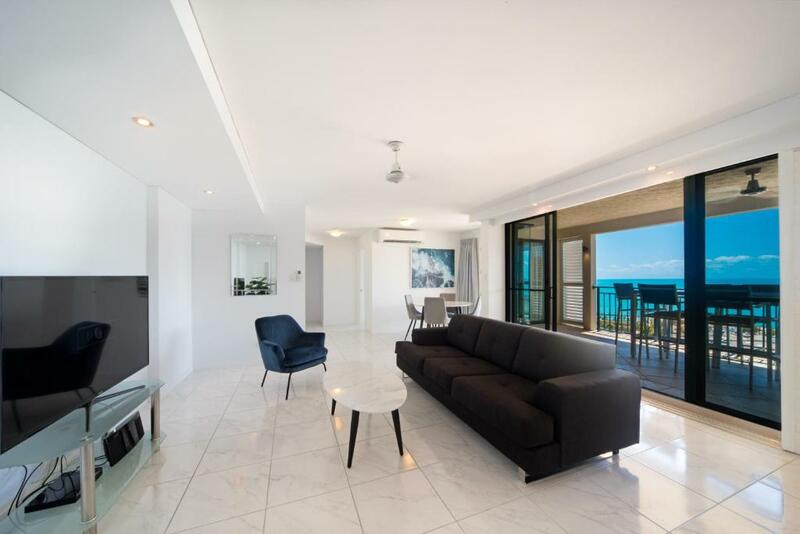 Located on lower levels, these apartments include a hot tub and a balcony with sea views. 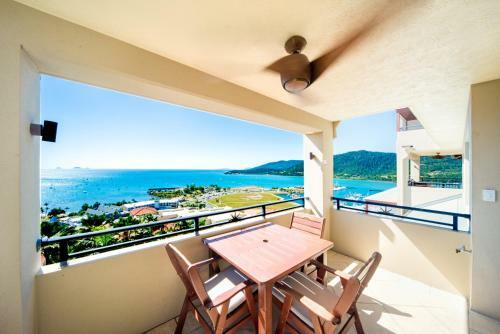 Located on the lower levels, these apartments include 2 bathrooms, a hot tub and a balcony with sea views. Includes 2 bathrooms and a balcony with a hot tub. Located on the lower levels, these apartments include a hot tub and a balcony with garden views. Located on the lower levels, these 2-bedroom apartments include 2 bathrooms, a hot tub and a balcony with garden views. Located on the middle to higher levels, these apartments features a balcony with sea views. 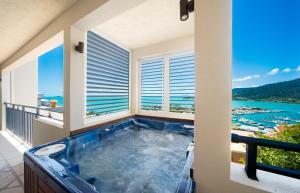 A hot tub is also included. Features sea views with balcony and hot tub. Located on middle - higher levels. 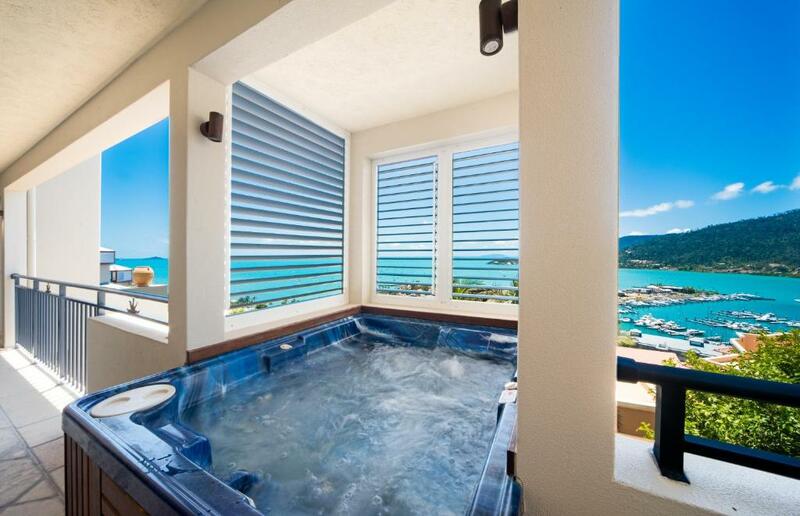 This 1-bedroom apartment features sea views from a separate hot tub area and views of the Port of Airlie Marina. It is located on the lower level. Living in the Whitsunday's we have one of the worlds best beaches in our backyard. Whitehaven Beach and the 74 islands that make up the Whitsunday's are truly breathtaking. With so many different day trips on offer including the islands, Whitehaven beach, Great Barrier Reef, Crocodile Safaris we are spoilt for choice. Located only 300m from the main street, Airlie Beach boasts a large variety of restaurants, cafes & speciality stores. 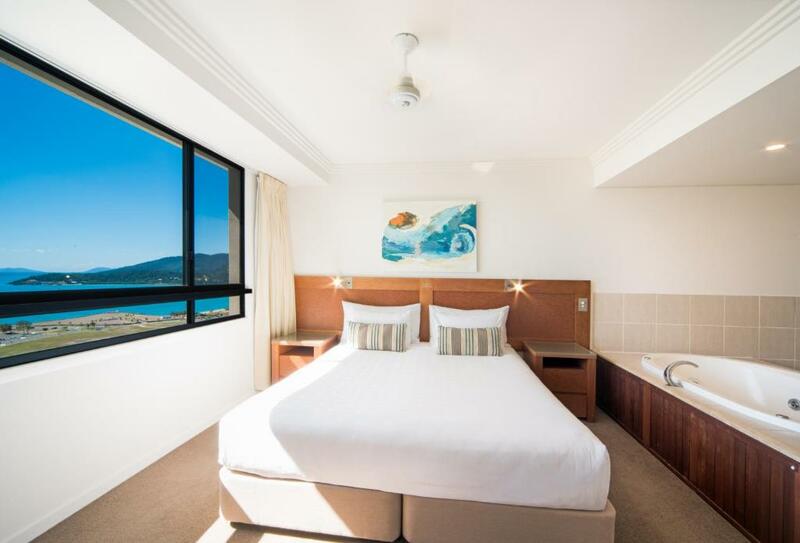 Airlie Beach offers a friendly, laid-back atmosphere where you can do as little or as much as you like. House rules Pinnacles Resort takes special requests - add in the next step! A damage deposit of AUD200 is required upon arrival, which is about GBP108.63. This deposit is fully refundable 7 days after check-out as long as there has been no damage to the property. Pinnacles Resort accepts these cards and reserves the right to temporarily hold an amount prior to arrival. Please note that housekeeping and linen services are only offered for stays of more than 7 nights. You can request daily housekeeping service at an extra charge. Please inform Pinnacles Resort in advance of your expected arrival time. You can use the Special Requests box when booking, or contact the property directly with the contact details provided in your confirmation. A damage deposit of AUD 200 is required on arrival. That's about 108.63GBP. This will be collected by credit card. You should be reimbursed within 7 days of check-out. Your deposit will be refunded in full via credit card, subject to an inspection of the property. Very comfy bed room, I love it ! The hill was our only struggle with the hotel. Steep walk, but we had a rental car and it was perfect with parking right by the apartment that was included - no extra fees like many places. However, the steep walk is totally worth it for the view you get! The view and apartment was absolutely amazing!!! The patio is huge with lots of space and comfortable seating. Loved this place and didn’t want to leave! We couldn’t enjoy the balcony as much as we wanted. There were way too many geckos stuck to the wall (11 in total at one point). Something needs to be done about pest control. Spas on balcony could be more private from people above you. View was awesome. Room was very nice and comfortable. Drive way was steep however, that's what you have for a view like we did :) amazing! Nothing else that I can mention that we didn't like.